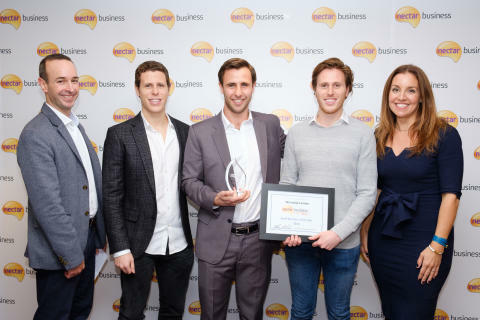 Fashion accessories brand, Skinnydip London, is topping off a record year by scooping the coveted Small Business of the Year award at the eighth annual Nectar Business Small Business Awards. The fashion business - founded by brothers, James and Richard Gold, along with friend, Lewis Blitz - was commended for its clear vision and quirky appeal, wowing the judging panel including star of BBC1’s Dragon’s Den, Sarah Willingham. Skinnydip London’s bold accessories and eye-catching designs have taken the UK fashion world by storm over the last few years, becoming a hit with celebs such as Kylie Jenner and Millie Mackintosh and now appearing in major high-street retailers such as Selfridges, Topshop and River Island. Other winning businesses in the Nectar Business Awards include health food brand Pip & Nut, Lake District holiday-rental business Sally’s Cottages, 3D software provider Neutron VR and learning provider Growth Engineering. While Tricia Cusden of Look Fabulous Forever scoops the Entrepreneur of the Year award, James Curnock of Lanwarne Landscapes takes home the Apprentice of the Year award and Tradesperson of the Year goes to Adam Monkhouse. The Centre for Crisis Psychology is crowned winner of the Contribution to the Community award, decided with the help of a public vote. The winners all walk away with £2,000 and 50,000 Nectar points, and will attend an industry round table event and awards ceremony on 22nd November. Here they will receive tailored business advice from Sarah Willingham and the other leading business professionals who judged the awards.